First Presbyterian is a large urban congregation that longs to reflect the complexion of heaven (Revelation 5:9), and it is our desire that you would find your place here. At the center of all our connection points is our Worship of God. 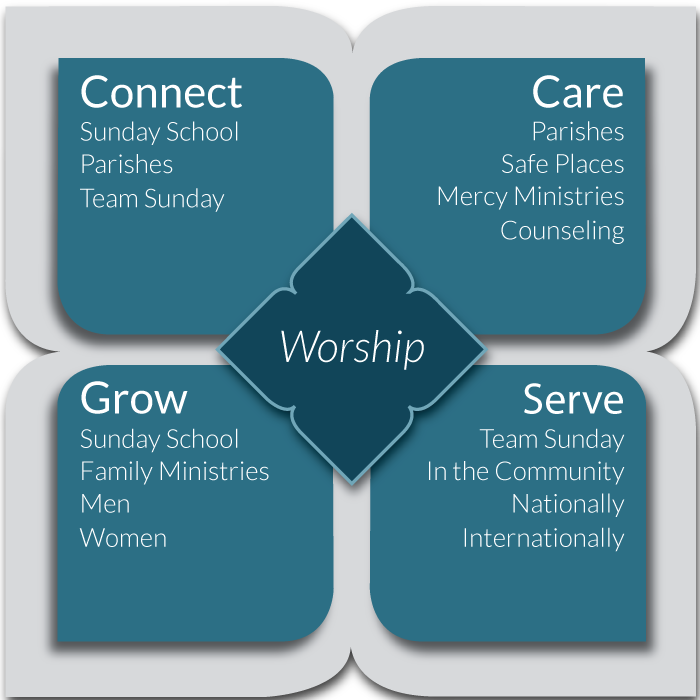 We place a high priority on seeking to Connect, Care, Grow and Serve together as the body of believers at First Presbyterian Church. With the gospel as the focus of your relationships you can develop friendships that will nurture you, hold you accountable, and help fortify you during the challenges of life. At First Pres you will find fellowship in small groups, Bible studies, men’s and women’s groups, activities for our youth and children, church-wide dinners and gatherings, parish events, missions conferences, service projects, retreats and many other activities.